The Lamborghini Aventador LP 700-4 was unveiled at the Geneva Motor Show in 2011. It is a two-seat, two-door sports car intended to replace the ageing Murcielago as Lamborghini's flagship model. 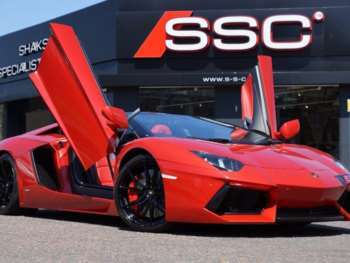 The selling price for a new Aventador in the UK is £201,900. Only 4000 units will be built (4099 Murcielagos were produced). In 2013 a roadster version, with a removable roof, will be added to the range. The Aventador has an all-new monstrous 6.5 litre 690bhp V12 engine known to Lamborghini as the L539. The transmission is a seven-speed single-clutch semi-automatic gearbox which can shift gear in just 50 milliseconds. The electronically controlled and brand new all-wheel drive system offers superb traction and class-leading handling capabilities. Its acceleration is rocket-like. The car is fairly wide which increases its comfort but can be worrying on narrower roads. It sits very low to the road making it feel even faster than it is (which is very, very fast) and its overall look is supercool. Audi's influence is obvious in the much improved build quality, inside and out. Three suspension modes are available, Sport, Strada and Corsa and the steering is accurate and positive with fabulous body control. There is a boot – just. There's about enough room for a toilet bag in there, but who cares? Practicality is not the point. 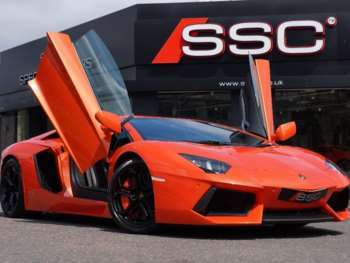 The Aventador hasn't been around long and used examples are extremely rare but they do appear. 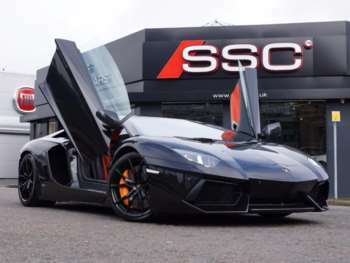 A 2012 Aventador with just 100 miles on the clock will set you back over £300,000. Add a few more miles on and you might pick one up for £250,000 but that is rock bottom as would be expected for such an iconic car. You'll need to arrange some specialist insurance for an Aventador. 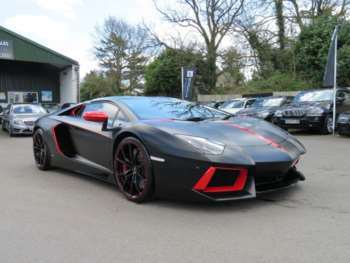 Obviously the Aventador is a very recently released car so second hand examples won't have done many miles and are unlikely to be mechanically damaged. Having said that - check everything. This is a £300,000 super car and you need to get an expert to fully check it over before you buy. Make sure the services have been done by an authorised Lamborghini dealer and check when the next one is due. Some 2012 Aventadors were recalled due to unsuitable headlights so check that, if required, this has been done. With such a new car, it is hard to put an exact price on specific replacement parts. However, estimated examples would include more than £4500 for a new clutch, £110 for a pair of front brake pads and around £900 for a front shock absorber. 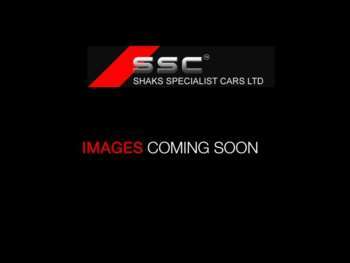 A replacement windscreen will be around £1500 while a set of brake discs will be approximately £750. So parts are unlikely to be cheap but then if you can afford to fork out around £300,000 for motoring perfection, do you really care? The Aventador will reach 62 miles per hour from a standing start in just 2.9 seconds on its way to a maximum speed of 217 miles per hour. Economy is said to be 10 miles per gallon but it would be surprising if the Aventador is even that efficient. The Aventador is considered by many to be the best Lamborghini ever made. It is renowned for its smooth but monstrous power output, its responsiveness and its accessible torque. The only criticisms have been of its single-disc clutch which some critics consider a little unrefined. The vast majority of reviews have been resoundingly positive however. For most people, the Aventador will be the best drive they have ever, or will ever, experience. Unlike some earlier Lamborghinis and many other super cars, the Aventador is known to be relatively reliable, both mechanically and in terms of its performance. When you accelerate, you know what you are going to get – incredible power. When you brake – you stop. This has not always been the case with the Lamborghini back catalogue. The Lamborghini Aventador is a frighteningly powerful car and not for the faint hearted but if you can handle it, it actually represents very good value for money. In fact, it will probably end up being an investment, so long as you don't crash it. 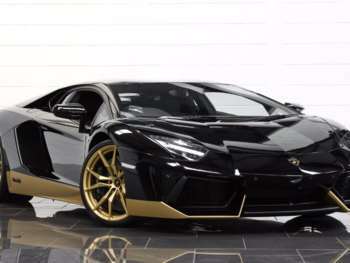 Got a specific Lamborghini Aventador model in mind?